The users of Asus Google Nexus 7 are currently powered by Android 4.2.2 Jelly Bean and while many would stick with the official updates, there are loads who who go for Custom ROMs. 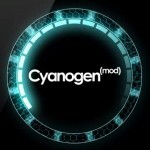 One such custom build is the CyanogenMod 10.1 (CM10.1). They have released the 5th candidate and of course there is a long way for them to go to perfect this built. 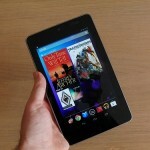 You can now install the CM10.1 RC5 on Google Nexus 7 based on Jelly Bean 4.2.2 Firmware following this tutorial. 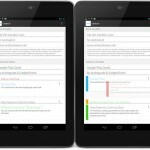 Please know that this tutorial will only work for the Google Nexus 7 and do not try this on any other device. Folks you must be aware of the Sony flagship, the Xperia Z. The CyanogenMod team has been working very hard on the device and have come up with yet another release candidate, RC5 for the Xperia Z device. 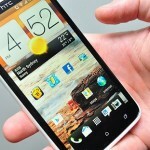 It is a released candidate of the CM 10.1 build and chances are we will see a plenty more of these before the final build comes out. 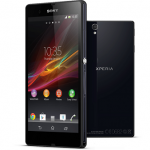 If you want the ROM, please follow the guide below to Install CM 10.1 RC 5 on Sony Xperia Z successfully. If you are an Android user, chances are that you are always on the XDA forums looking for newer tweaks and applications that might come across. More than that, if you run into some sort of a trouble with your device, the great people over at the XDA forums are sure to be of help. If you are not following them, please be sure to visit them and explore the wonderful things you can possibly do with your cellphone. They have been working on a project that goes by the name Playview for CardsUI. This is an open-sourced project which basically aims to mimic the aesthetics of Google Play Store and the cards.